Barry Bonds Signed Baseball. 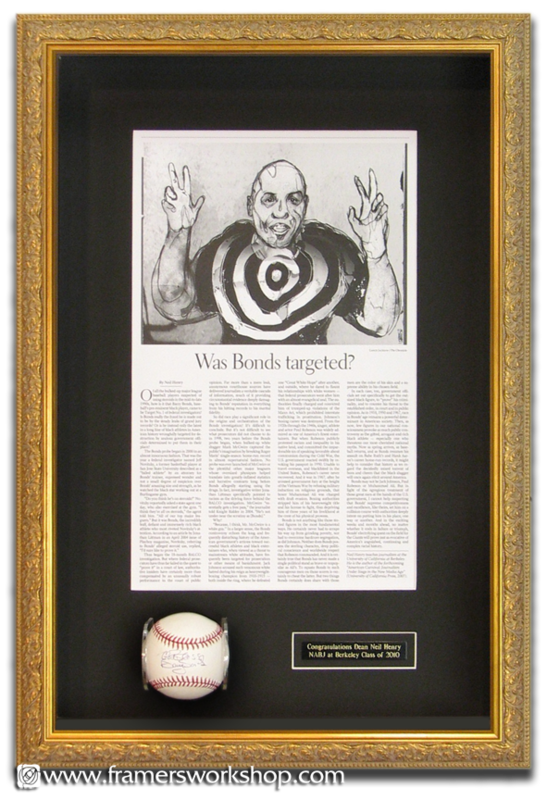 This baseball was framed in a deep ornate gold shadow box from our Larson Juhl Arcadia Choice collection. We added a black and gold name plate and an article about Bonds. The framing package is protected with Conservation Clear glass.